Scottish ski areas are edging closer to full opening with more fresh snow and cold temps for snowmaking. Glencoe Mountain Resort says three lifts are running now the road past the centre has re-opened (it was earlier closed by police due to conditions). In addition, Nevis Range is offering ski touring tickets on the fresh snow there. The access Chairlift, Coire Pollach and Plateau Poma are running at Glencoe. 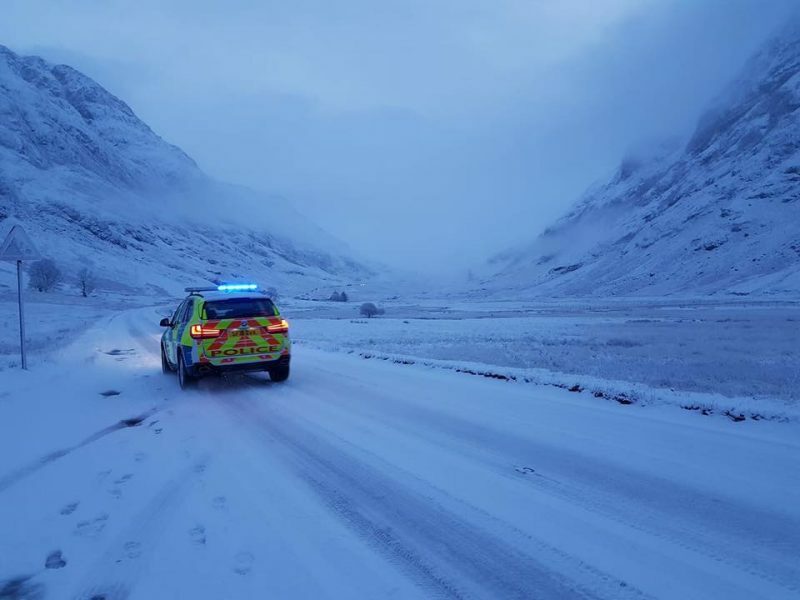 “It’s turning out to be a cracking day, with sunshine and light snow showers and the road now clear in both directions,” a Glencoe spokesperson said. Cairngorm (pictured top and above) reported 4cm of fresh snow overnight and is expecting more snow and low temperatures for it to use its news £1m snowmaking system for the rest of the week. The centre set up freestyle jumps on its ski slope, which is a few hundred metres long and getting progressively longer. 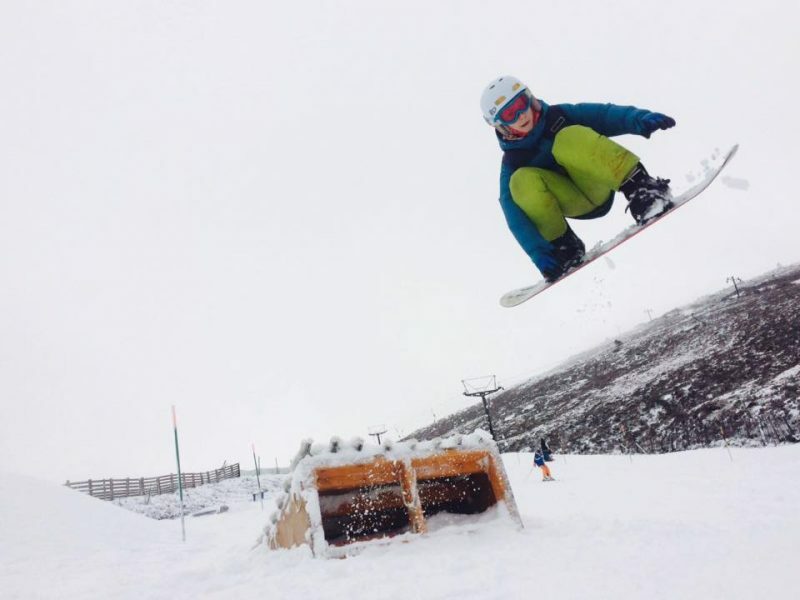 All five Highland Scottish ski areas had already been offering beginner lessons on snow. Three resorts – Cairngorm, the Lecht and Glencoe, have been doing so since December thanks to their new all-weather snowmaking machines. 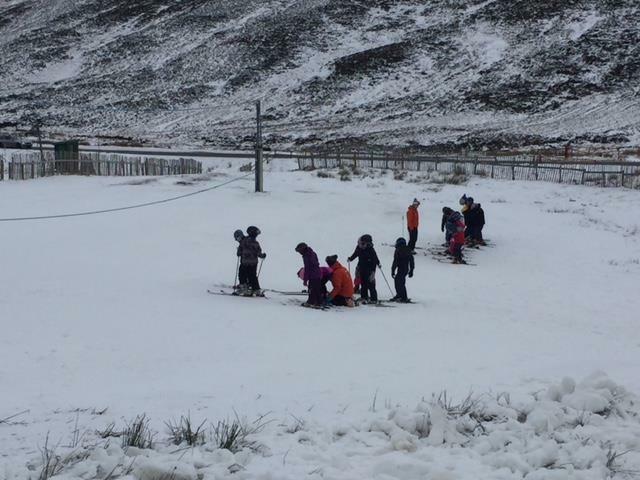 At Nevis Range lessons have taken place on their artificial surface slope by the upper gondola slope which is now snow covered and at Glenshee they had enough natural and machine-made snow to start offering school lessons yesterday (pictured below).